Friday I received a new lens. It was so difficult to stay at work that afternoon. Don't get me wrong the 50mm lens is great and allows me lots of flexibility with its 1.8 aperture. The problem I have is that I can't zoom with the 50mm lens. So off I went to find a versatile lens that I could use at dance performances (my wife and niece), at sporting events, wildlife and more. 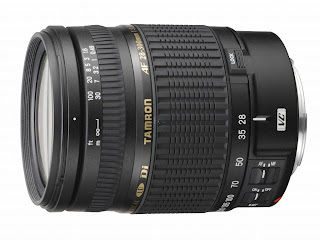 Tamron caught my eye quickly because they make an ultra zoom category lens. I did lots of research on Canon, Sigma, Tamron lenses. Tamron had the best solution to my needs. That is quite a long name but don't worry I can tell you what it all means. This lens is auto focus (AF), has a focal length of 28-300mm, its maximum aperture of 3.5 at 28mm and 6.6 at 300mm, uses Extra Refractive Index Glass, was designed to work with film and digital cameras (DI), will help eliminate blur in photos (VC), has Low Dispersion glass and internal focusing. There is quite a bit of information there. I like the lens because it has a great focal range. The only lens I am missing now is a wide angle lens for landscapes. I was a little sad about the F-stop range because at 300mm 6.3 is kind of slow indoors, but fast lenses are very expensive. 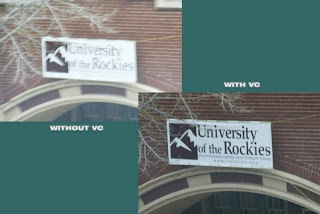 The feature I am most excited about is the VC. Vibration Compensation is a feature in the lens that accounts for movement while taking a picture. This feature is useful if you want to handhold a camera and take picture in low light or zoomed all the way in (300mm). There are two gyros in the lens that sense movement and three coils that counter that movement inside the lens. Originally I thought this was all hype and it could not work nearly as well as advertised. I put the lens on my camera and tried to focus at 300mm knowing that the farther I zoomed the more I would see the shake of my hands. I thought my hands we so steady that I didn't need the VC until I realized that it was on ans was already compensating for my had shaking. It is obvious from the pictures below that the lens does indeed compensate for vibration. So far I am very happy with the lens. I think that it was a wor thwhile purchase as a great all around lens. I doubt this will come off of my camera often.